Using SSML-enhanced input text gives you additional control over how Amazon Polly generates speech from the text you provide. For example, you can include a long pause within your text, or change the speech rate or pitch. Amazon Polly provides this type of control with a subset of the SSML markup tags that are defined by Speech Synthesis Markup Language (SSML) Version 1.1, W3C Recommendation. Unsupported SSML tags in input text generate errors. The <speak> tag is the root element of all Amazon Polly SSML text. All SSML-enhanced text must be enclosed within a pair of <speak> tags. To add a pause to your text, use the <break> tag. You can set a pause based on strength (equivalent to the pause after a comma, a sentence, or a paragraph), or you can set it to a specific length of time in seconds or milliseconds. If you don't specify an attribute to determine the pause length, Amazon Polly uses the default, which is <break strength="medium">, which adds a pause the length of a pause after a comma. none: No pause. Use none to remove a normally occurring pause, such as after a period. x-weak: Has the same strength as none, no pause. weak: Sets a pause of the same duration as the pause after a comma. medium: Has the same strength as weak. strong: Sets a pause of the same duration as the pause after a sentence. x-strong: Sets a pause of the same duration as the pause after a paragraph. [number]s: The duration of the pause, in seconds. The maximum duration is 10s. [number]ms: The duration of the pause, in milliseconds. The maximum duration is 10000ms. If there is no other punctuation next to the break tag, it creates a <break strength="medium"> (comma-length pause). If the tag is next to a comma, it upgrades the tag to a <break strength="strong"> (sentence-length pause). If the tag is next to a period, it upgrades the tag to <break strength="x-strong"> (paragraph-length pause). To emphasize words, use the <emphasis> tag. Emphasizing words changes the speaking rate and volume. More emphasis makes Amazon Polly speak the text louder and slower. Less emphasis makes it speak quieter and faster. To specify the degree of emphasis, use the level attribute. Strong: Increases the volume and slows the speaking rate so that the speech is louder and slower. Moderate: Increases the volume and slows the speaking rate, but less than strong. Moderate is the default. Reduced: Decreases the volume and speeds up the speaking rate. Speech is softer and faster. The normal speaking rate and volume for a voice falls between the moderate and reduced levels. Specify another language for a specific word, phrase, or sentence with the <lang> tag. Foreign language words and phrases are generally spoken better when they are enclosed within a pair of <lang> tags. To specify the language, use the xml:lang attribute. For a complete list of available languages, see Languages Supported by Amazon Polly. Unless you apply the <lang> tag, all of the words in the input text are spoken in the language of the voice specified in the voice-id. If you apply the <lang> tag, the words are spoken in that language. Because Joanna is not a native French voice, pronunciation is based on her native language, US English. For example, although perfect French pronunciation features an uvual trill /R/ in the word français, Joanna's US English voice pronounces this phoneme as the corresponding sound /r/. This tag can also be used as a substitute for the optional DefaultLangCode option when synthesizing speech. However, doing so requires that you format your text using SSML. This is equivalent to specifying a pause using <break strength="x-strong"/>. To make Amazon Polly use phonetic pronunciation for specific text, use the <phoneme> tag. ipa— Indicates that the International Phonetic Alphabet (IPA) will be used. x-sampa— Indicates that the Extended Speech Assessment Methods Phonetic Alphabet (X-SAMPA) will be used. With the <phoneme> tag, Amazon Polly uses the pronunciation specified by the ph attribute instead of the standard pronunciation associated by default with the language used by the selected voice. To control the volume, rate, or pitch of your selected voice, use the prosody tag. Volume, speech rate, and pitch are dependent on the specific voice selected. In addition to differences between voices for different languages, there are differences between individual voices speaking the same language. Because of this, while attributes are similar across all languages, there are clear variations from language to language and no absolute value is available. default: Resets volume to the default level for the current voice. silent, x-soft, soft, medium, loud, x-loud: Sets the volume to a predefined value for the current voice. +ndB, -ndB: Changes volume relative to the current level. 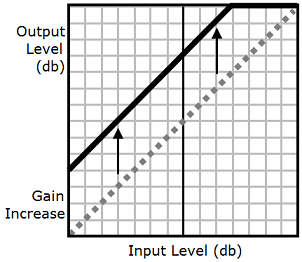 A value of +0dB means no change, +6dB means approximately twice the current volume, and -6dB means approximately half the current volume. x-slow, slow, medium, fast,x-fast. Sets the pitch to a predefined value for the selected voice. n%: A non-negative percentage change in the speaking rate. For example, a value of 100% means no change in speaking rate, a value of 200% means a speaking rate twice the default rate, and a value of 50% means a speaking rate of half the default rate. This value has a range of 20-200%. default: Resets pitch to the default level for the current voice. x-low, low, medium, high, x-high: Sets the pitch to a predefined value for the current voice. +n% or -n%: Adjusts pitch by a relative percentage. For example, a value of +0% means no baseline pitch change, +5% gives a little higher baseline pitch, and -5% results in a little lower baseline pitch. The <prosody> tag must contain at least one attribute, but can include more within the same tag. To control how long you want a speech to take when it is synthesized, use the <prosody> tag with the amazon:max-duration attribute. The duration of synthesized speech varies slightly, depending on the voice you select. This can make it difficult to match synthesized speech with visuals or other activities that require precise timing. This issue is magnified for translation applications because the time it takes to say particular phrases can vary widely with different languages. The <prosody amazon:max-duration> tag matches synthesized speech to the amount of time you want it to take (the duration). Text placed within the tag, it doesn't exceed the specified duration. If the chosen voice or language would normally take longer than that duration, Amazon Polly speeds up the speech so that it fits into the specified duration. If the specified duration is longer than it takes to read the text at a normal rate, Amazon Polly reads the speech normally. It doesn't slow down the speech or add silence, so the resulting audio is shorter than requested. Amazon Polly increases the speed no more than 5 times the normal rate. If text is spoken faster than this, it usually doesn't make sense. If a speech cannot fit within your specfied duration even when speeded up to the maxium, the audio will be speeded up but will last longer than the specified duration. You can include a single sentence or multiple sentences within a <prosody amazon:max-duration> tag, and you can use multiple <prosody amazon:max-duration> tags within your text. Using the <prosody amazon:max-duration> tag can increase latency when Amazon Polly is returns synthesized speech. The degree of latency depends on the passage and its length. We recommend using text comprised of relatively short text passages. The text inside a <prosody amazon:max-duration> tag can't be longer than 1500 characters. You can't nest <prosody amazon:max-duration> tags. If you put one <prosody amazon:max-duration> tag inside another, Amazon Polly ignores the inner tag. You can't use the <prosody> tags with the rate attribute within a <prosody amazon:max-duration> tag. This is because both affect the speed at which text is spoken. When using max-duration tag, you can still insert pauses within your text. However, Amazon Polly includes the length of the pause when calculating the maximum duration for speech. Additionally, Amazon Polly preserves the short pauses that occur where commas and periods are placed within a passage and includes in the maximum duration. Unlike the <break> tag, the <s> tag encloses the sentence. This is useful for synthesizing speech that is organized in lines, rather than sentence, such as poetry. In the following example, the <s> tag creates a short pause after both the first and second sentences. The final sentence has no <s> tag, but it is also followed by a short pause because it ends with a period. Use the <say-as> tag with the interpret-as attribute to tell Amazon Polly how to say certain characters, words, and numbers. This enables you to provide additional context to eliminate any ambiguity on how Amazon Polly should render the text. character or spell-out: Spells out each letter of the text, as in a-b-c.
cardinal or number: Interprets the numerical text as a cardinal number, as in 1,234.
ordinal: Interprets the numerical text as an ordinal number, as in 1,234th. digits: Spells out each digit individually, as in 1-2-3-4.
fraction: Interprets the numerical text as a fraction. This works for both common fractions such as 3/20, and mixed fractions, such as 2 ½. See below for more information. unit: Interprets a numerical text as a measurement. The value should be either a number or a fraction followed by a unit with no space in between as in 1/2inch, or by just a unit, as in 1meter. date: Interprets the text as a date. The format of the date must be specified with the format attribute. See below for more information. time: Interprets the numerical text as duration, in minutes and seconds, as in 1'21". address: Interprets the text as part of a street address. expletive: "Beeps out" the content included within the tag. telephone: Interprets the numerical text as a 7-digit or 10-digit telephone number, as in 2025551212. You can also use this value for handle telephone extensions, as in 2025551212x345. See below for more information. Currently the telephone option is only available for English language voices. Syntax: cardinal number/cardinal number, such as 2/9. For example: <say-as interpret-as="fraction">2/9</say-as> is pronounced "two ninths." Syntax: cardinal number+cardinal number/cardinal number, such as 3+1/2. For example, <say-as interpret-as="fraction">3+1/2</say-as> is pronounced "three and a half." There must be a + between the "3" and the "1/2". Amazon Polly doesn't support a mixed number without the +, such as "3 1/2". When interpret-as is set to date, you also need to indicate the format of the date. The following formats can be used with the date attribute. yyyymmdd: Year-month-day. If you use this format, you can make Amazon Polly skip parts of the date using question marks. Amazon Polly attempts to interpret the text you provide correctly based on the text’s formatting even without the <say-as> tag. For example, if your text includes "202-555-1212," Amazon Polly interprets it as a 10-digit telephone number and says each digit individually, with a brief pause for each dash. In this case, you don't need to use <say-as interpret-as="telephone">. However, if you provide the text “2025551212” and want Amazon Polly to say it as a phone number, you would specify <say-as interpret-as="telephone">. Use the <sub> tag with the alias attribute to substitute a different word (or pronunciation) for selected text such as an acronym or abbreviation. In the following example, the name "Mercury" is substituted for the element's chemical symbol to make the audio content clearer. You can use the <w> tag to customize the pronunciation of words by specifying the word’s part of speech or alternate meaning. This is done using the role attribute. amazon:VB: interprets the word as a verb (present simple). amazon:VBD: interprets the word as past tense or as a past participle. amazon:SENSE_1: uses the non-default sense of the word when present. For example, the noun "bass" is pronounced differently depending on its meaning. The default meaning is the lowest part of the musical range. The alternate meaning is a species of freshwater fish, also called "bass" but pronounced differently. Using <w role="amazon:SENSE_1">bass</w> renders the non-default pronunciation (freshwater fish) for the audio text. Some languages may have a different selection of supported parts of speech. duration: Controls the length of the breath. Valid values are: default, x-short, short, medium, long, x-long. The default value is medium. volume: Controls how loud breathing sounds. Valid values are: default, x-soft, soft, medium, loud, x-loud. The default value is medium. The exact length and volume of each attribute value is dependent on the specific Amazon Polly voice used. To set a breath sound using the defaults, use <amazon:breath/> without attributes. In automated mode, you use the <amazon:auto-breaths> tag to tell Amazon Polly to automatically create breathing noises at appropriate intervals. You can set the frequency of the intervals, their volume, and their duration. Place the </amazon:auto-breaths> tag at the beginning of the text that you want to apply automated breathing to and the close the tag at the end. Unlike the manual mode tag, <amazon:breath/>, the <amazon:auto-breaths> tag requires a closing tag (</amazon:auto-breaths>). volume: Controls how loud the breathing sounds. Valid values are: default, x-soft, soft, medium, loud, x-loud. The default value is medium. frequency: Controls how often breathing sounds occur in the text. Valid values are: default, x-low, low, medium, high, x-high. The default value is medium. By default, the frequency of breathing sounds depends on the input text. However, breathing sounds often occur after commas and periods. The following examples show how to use the <amazon:auto-breaths> tag. To decide which options to use for your content, copy the applicable examples to the Amazon Polly console and listen to the differences. Using automated mode without optional parameters. Using automated mode with volume control. The unspecified parameters (duration and frequency) are set to the default values (medium). Using automated mode with frequency control. The unspecified parameters (duration and volume) are set to the default values (medium). Using automated mode with multiple parameters. For the unspecified Duration parameter, Amazon Polly uses the default value (medium). Depending on the text, language, and voice used in an audio file, the sounds range from soft to loud. Environmental sounds, such as the sound of a moving vehicle, can often mask the softer sounds, which makes the audio track difficult to hear clearly. To enhance the volume of certain sounds in your audio file, use the dynamic range compression (drc) tag. 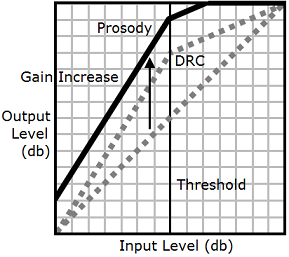 The drc tag sets a midrange "loudness" threshold for your audio, and increases the volume (the gain) of the sounds around that threshold. 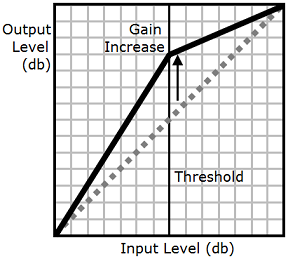 It applies the greatest gain increase closest to the threshold, and the gain increase is lessened farther away from the threshold. This makes the middle-range sounds easier to hear in a noisy environment, which makes the entire audio file clearer. The drc tag is a Boolean parameter (it's either present or it isn't). It uses the syntax: <amazon:effect name="drc"> and is closed with </amazon:effect>. When you use "drc" in the amazon:effect syntax, it is case-sensitive. As the following graphic shows, the prosody volume tag evenly increases the volume of an entire audio file from the original level (dotted line) to an adjusted level (solid line). To further increase the volume of certain parts of the file, use the drc tag with the prosody volume tag. Combining tags doesn't affect the settings of the prosody volume tag. When you use the drc and prosody volume tags together, Amazon Polly applies the drc tag first, increasing the middle-range sounds (those near the threshold). It then applies the prosody volume tag and further increases the volume of the entire audio track evenly. In this text, the prosody volume tag increases the volume of the entire passage to "loud." The drc tag enhances the volume of the middle-range values in the second sentence. When using the drc and prosody volume tags together, use standard XML practices for nesting tags. To specify that input text should be spoken in a softer-than-normal voice, use the <amazon:effect phonation="soft"> tag. Timbre is the tonal quality of a voice that helps you tell the difference between voices, even when they have the same pitch and loudness. One of the most important physiological features that contributes to speech timbre is the length of the vocal tract. The vocal tract is a cavity of air that spans from the top of the vocal folds up to the edge of the lips. To control the timbre of output speech in Amazon Polly, use the vocal-tract-length tag. This tag has the effect of changing the length of the speaker’s vocal tract, which sounds like a change in the speaker’s size. When you increase the vocal-tract-length, the speaker sounds physically bigger. When you decrease it, the speaker sounds smaller. You can use this tag with any of the voices in the Amazon Polly Text-to-Speech portfolio. +n% or -n%: Adjusts the vocal tract length by a relative percentage change in the current voice. For example, +4% or -2%. Valid values range from +100% to -50%. Values outside this range are clipped. For example, +111% sounds like +100% and -60% sounds like -50%. n%: Changes the vocal tract length to an absolute percentage of the tract length of the current voice. For example, 110% or 75%. An absolute value of 110% is equivalent to a relative value of +10%. An absolute value of 100% is the same as the default value for the current voice. You can combine the vocal-tract-length tag with any other SSML tag that is supported by Amazon Polly. Because timbre (vocal tract length) and pitch are closely connected, you might get the best results by using both the vocal-tract-length and the <prosody pitch> tags. To produce the most realistic voice, we recommend that you use different percentages of change for the two tags. Experiment with various combinations to get the results you want. The following example shows how to combine tags. This tag indicates that the input text should be spoken in a whispered voice rather than as normal speech. This can be used with any of the voices in the Amazon Polly Text-to-Speech portfolio. In this case, the synthesized speech spoken by the character is whispered, but the phrase "she said" is spoken in the normal synthesized speech of the selected Amazon Polly voice. You can enhance the "whispered" effect by slowing down the prosody rate by up to 10%, depending on the effect you want. When generating speech marks for a whispered voice, the audio stream must also include the whispered voice to ensure that the speech marks match the audio stream.